Daphné with her graduate. Way to go, little bro! Made it!! Needless to say, both of our 2007 Graduates put the parents through some hoops before they made it. No complaints. 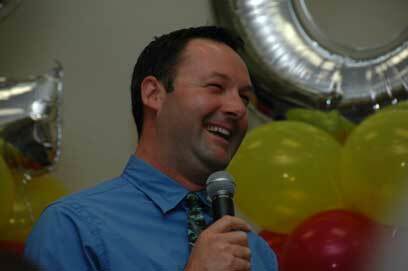 Children deserve and need to get even in some way as they pass through adolescence. That’s life. 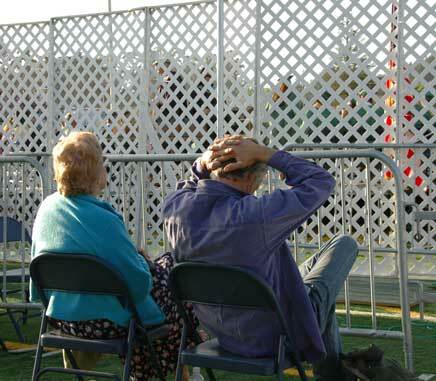 The parents did the same thing: we just try not to talk about it, or even remember it! 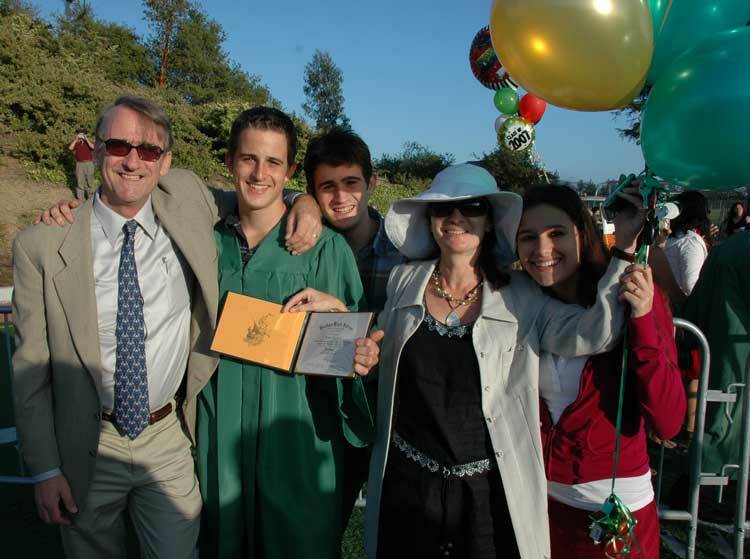 Above is Alban showing off his diploma with Daphné, and below Tom showing off his with his dad, Nick, Marie-Hélène and Daphné. These two graduations did provoke reflection on a question that has preoccupied us. Why is normal adolescent behavior having increasingly adverse consequences for the adolescent? Is the goal to require lack of spirit as a condition to growing up? From where we stand, it’s not a crime to be young and a bit wild from time to time, so long as no-one gets hurt. our genes, of course, but although in our day the parents did almost the same things that our children do, we always got away with it, perhaps with some sort of warning. Times have changed. 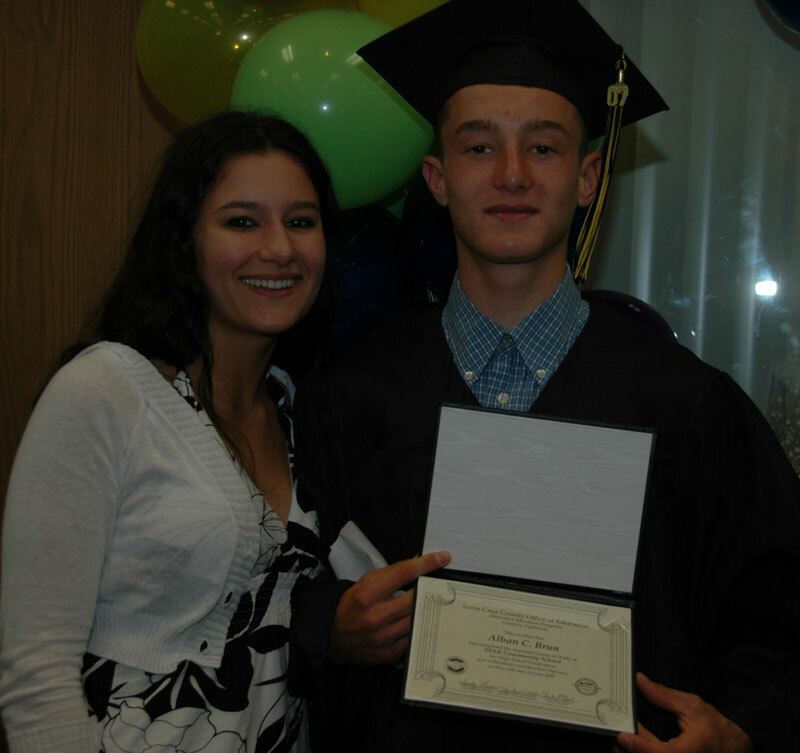 Alban terminated his High School graduation requirements in an independent program mixing credits from Cabrillo College with others from an alternative High School. His graduation was by far the most consequential that we have seen here. right, Alban acknowledges his personal tribute. much more important than being cool. 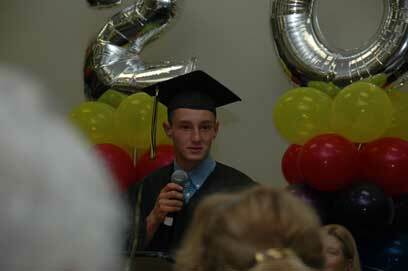 graduation ceremony reflected what is best in local education. fun and there were indeed some interesting anecdotes. 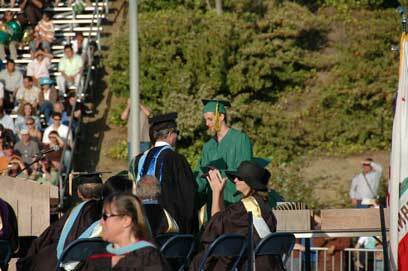 receiving his diploma from a distance (above right), still small in the telephoto lens. 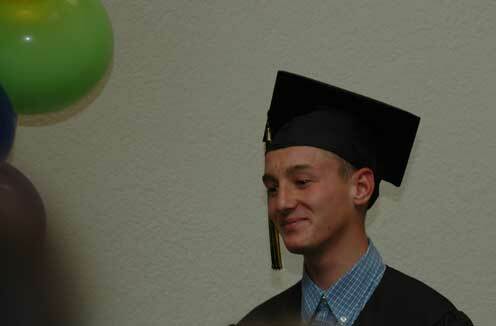 surrounded by his classmates, teachers and administrators. Small is beautiful. Harbor only star students spoke) had that to say about him, he needs to work on something. many BMWs and Mercedes in the parking lot, with his own Bentley up front. alternative education was way ahead of the pack. get there, even the parents! 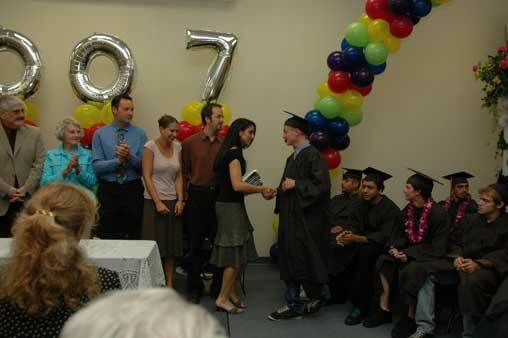 Our four older children have now all graduated High School. The earlier graduations are here. 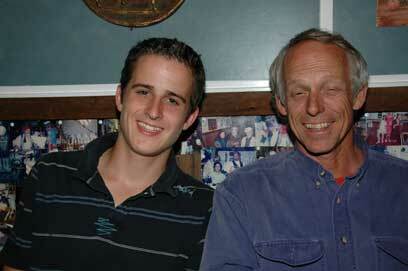 2007 also saw Charlie completing his elementary education after seven happy years at Happy Valley School.